From the back cover: He (King) got his big chance at the Aragon Ballroom in Chicago. He had welded his orchestra around the principle that people wanted to dance, and dance to simple, easy, lovable waltzes. 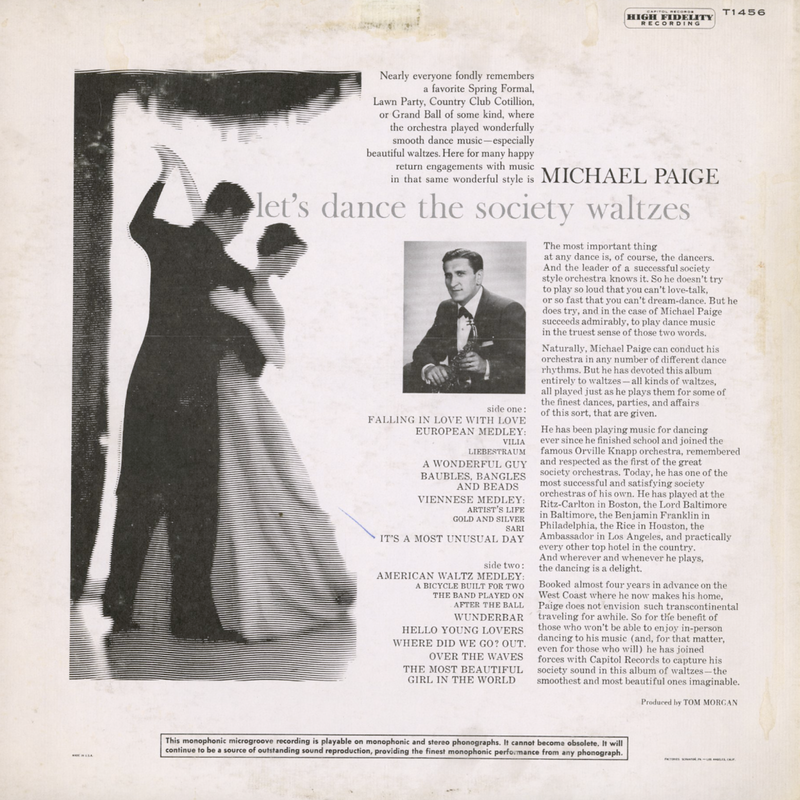 But it was in the 1920's – the Roaring Twenties – and it hardly seemed possible that a people bent on one wild spree after another would take to such a tame affair as the waltz. As he stood on the bandstand that first night, Wayne recalls that he was scared stiff and very much afraid that he and his band would go over with a dull thud. 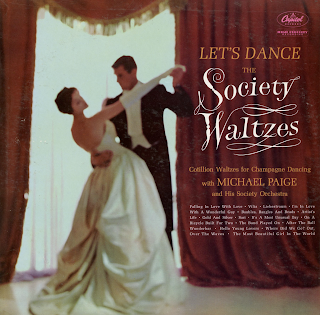 "We gave them a taste of it that night," Wayne says, "– a waltz. Then a pair of them. Later I summoned up the courage to take my saxophone in hand and ad lib through a whole series of soft, sweet melodies. At first the crowd seemed puzzled. I saw a couples exchange glances: 'What's he trying to do?" But when the evening was over the jury was in." 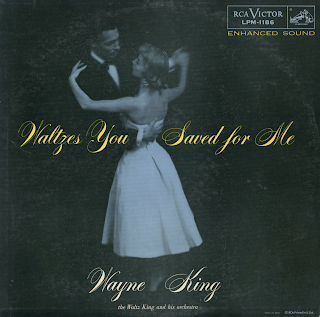 The crowd had gone for Wayne King and his waltz music. He had gone over with a bang. The proof? Wayne King and his orchestra stayed at the Aragon from 1927 to 1935. Wayne was started on his musical career at the age of sixteen by his father, who gave him a clarinet and a self-instruction book, and told him to see what he could pick up himself. Wayne mastered the instrument quickly and to such an extent that he managed to earn the major share of his expenses when he attended Valparaiso University by playing in a nearby dance band. When he left college he tired various jobs, from insurance salesman to theater work, before organizing his own orchestra. Del Lampe, the famous orchestra leader, picked King and his band to play at the Aragon; and it was there, during his long stay, that he earned the nickname, "The Waltz King." At least some tracks from this set are available from online vendors, but scattered across a number of compilations. From the back cover: Born in Germany in 1929, Andre Previn began his musical training in Europe and continued in the United States after his arrival in 1939, numbering Castelnuovo-Tedeco among his teachers. 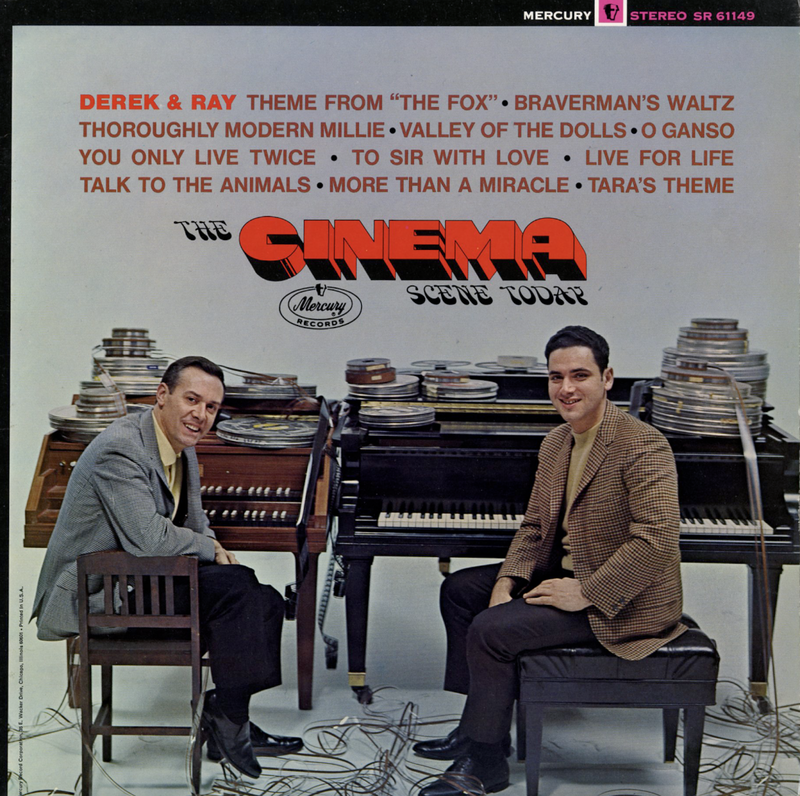 Apart from two years in the Army, he has been writing film scores since 1949, and has been nominated three times for an Academy Award, winning the Award in 1959 for his musical scoring of Gigi. "Like Love" presents Andre Previn in his debut on Columbia Records, as pianist, conductor, arranger and composer and displays his amazing inventiveness in all four roles. That it also provides endlessly delightful listening need no emphasis at all; such rewards are understood when the pianist is like Previn. 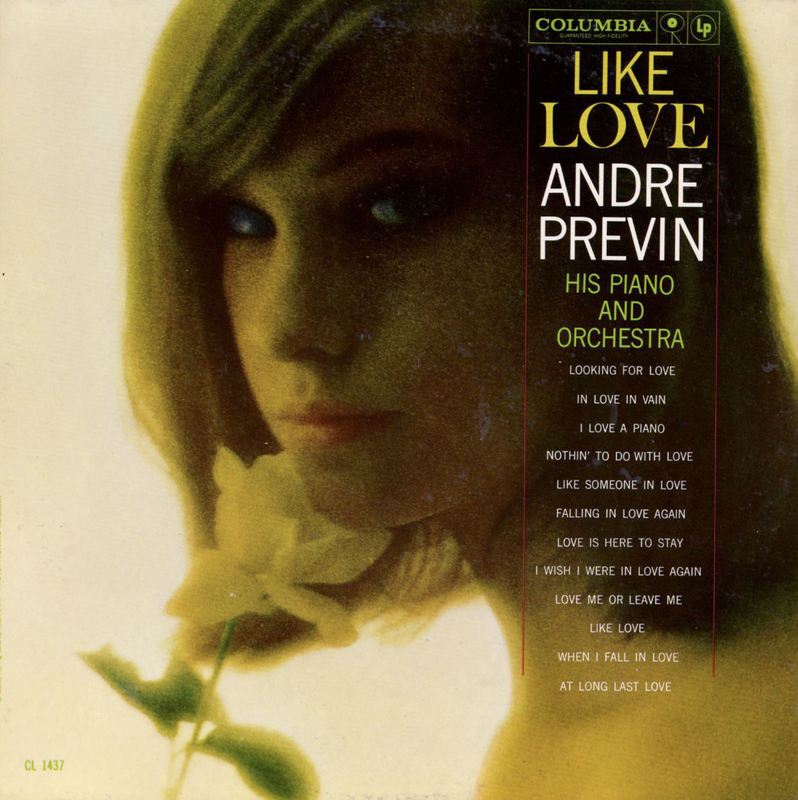 From Billboard - May 30, 1960: Previn, who left his former label soon after a pop single hit, "Like Young," bows on Columbia with a selection of tunes about love. The title tune has much the construction of "Like Young," with the piano setting up an interesting figure with strings moving in for the melodic content. 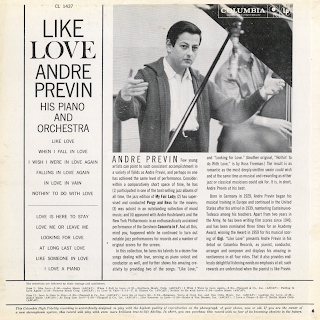 The other numbers, like "Falling In Love Again," "In Love In Vain," etc., similarly feature Previn's unique style, abetted by banks of strings in the big oak backing. A lot of nice programming fare here and the set can find a solid demand. 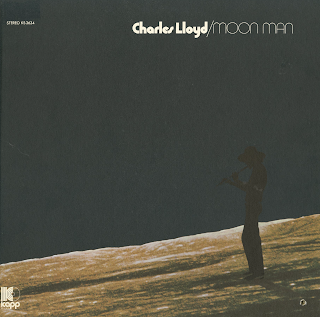 A blend of a number of pop/rock/avant grade influences on side one followed by a long freeform jazz piece on side two that eventually slides back into the conceptualism that dominates the majority of project, as heard in the sample above, using a spacey vocal passage to help connect elements. From Billboard - September 12, 1970: Charles Lloyd first came into sight as a jazzman with the Cannonball Adderley group, then he formed his own quartet still playing jazz and attracted the attention of the Filmore jazz circuit who dug into his avant grade happenings. Now Lloyd has switched into the rock energy and come up with a rock album that contains his own music and lyrics. Good etherial product, part jazz, a lot of rock and much heavy. 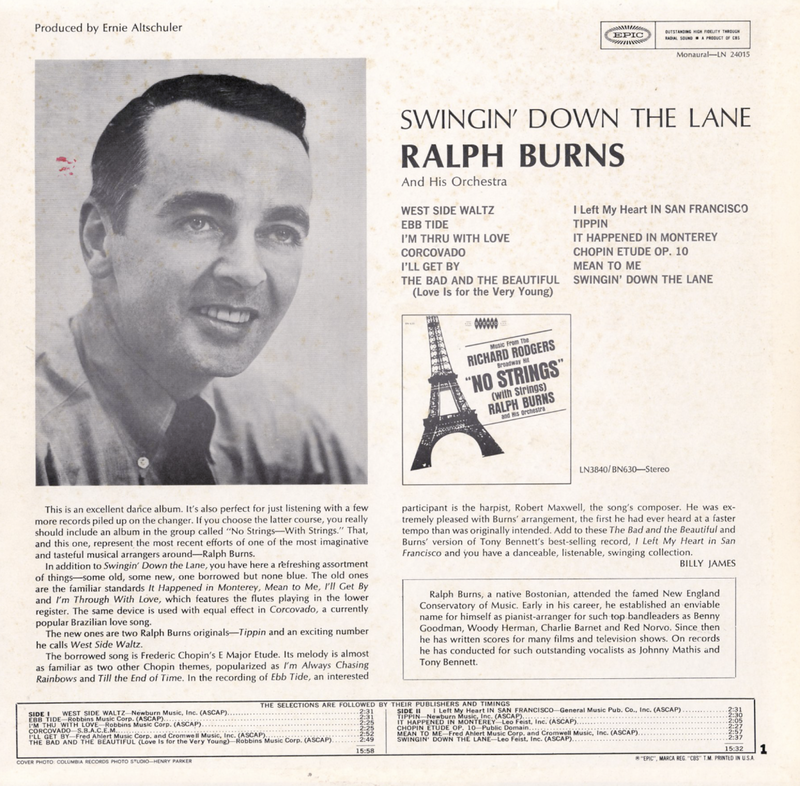 From the back cover: Ralph Burns, a native Bostonian, attended the famed New England Conservatory of Music. 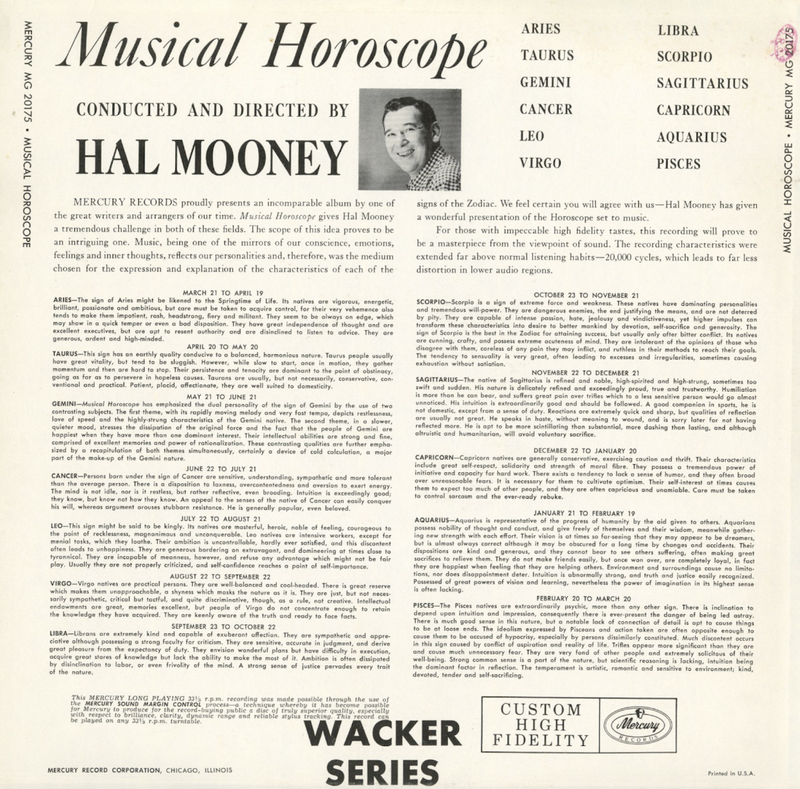 Early in his career, he established an enviable name for himself as pianist-arranger for such top bandleaders as Benny Goodman, Woody Herman, Charlie Barnet and Red Norvo. Since then he has conducted for such outstanding vocalist as Johnny Mathis and Tony Bennett. 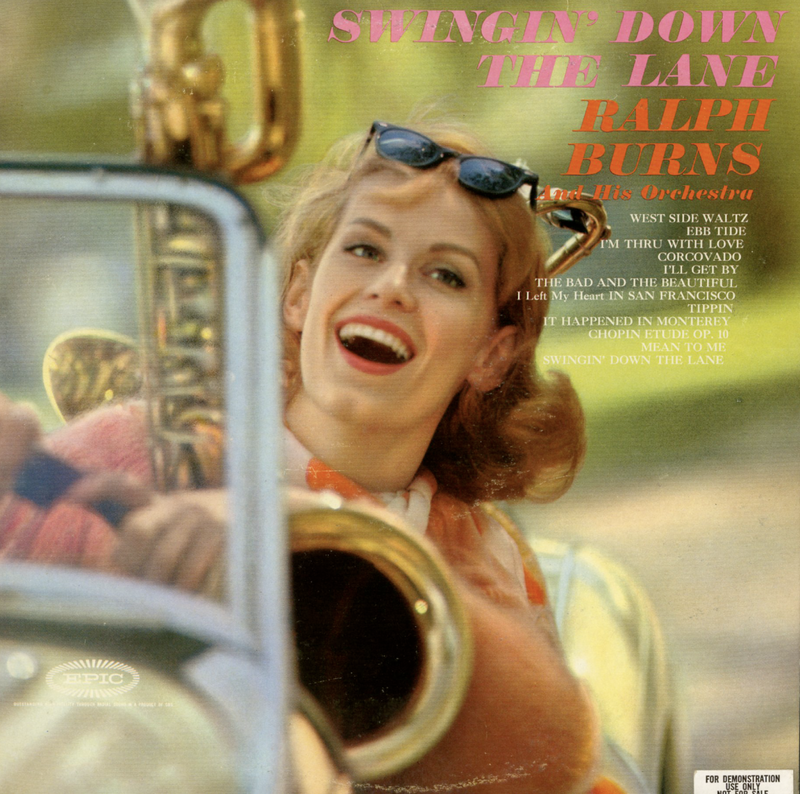 From Billboard - September 8, 1968: Here's a mighty refreshing excursion into typical big band sound, with Ralph Burns, veteran arranger, contributing some standout scoring for the ensemble. 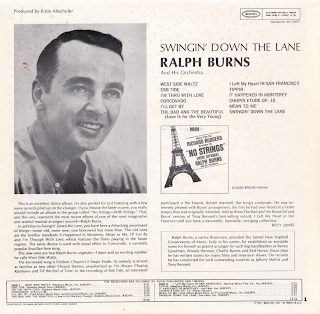 Among other things, Burns offers here the first instrumental scoring of the Tony Bennett hit, "San Francisco," and this track along with "West Side Waltz." 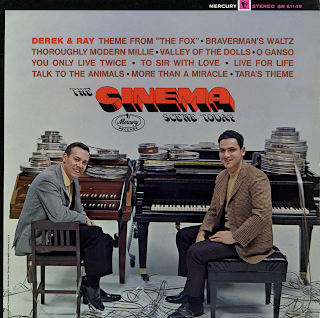 "It Happened in Monterey" and "The Band (Billboard spelling) and the Beautiful," can grab plenty of jockey spins. 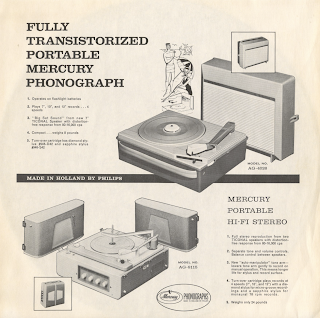 From Billboard - November 10, 1956: There's no question about the success of this package. As a previous "Save on Records" special, its momentum is bound to carry thru. 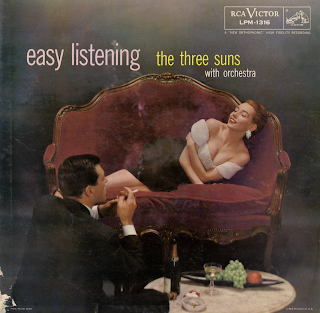 With the Three Suns in top form, backed with good ork sound, in the tricky arrangements of Marty Gold and Sid Ramin, the dozen items pack top-flight listening content. As usual, most of their numbers are solid standards with arrangement face-lifting. Naturally, there's great jock stuff here. From the back cover: Julita Ross was born in Arecibo and while still a child, moved to Santurce where she took part in musical shows presented by her school. She made personal appearances at various theaters and private functions and her professional debut was made on radio in Puerto Rico in 1940. 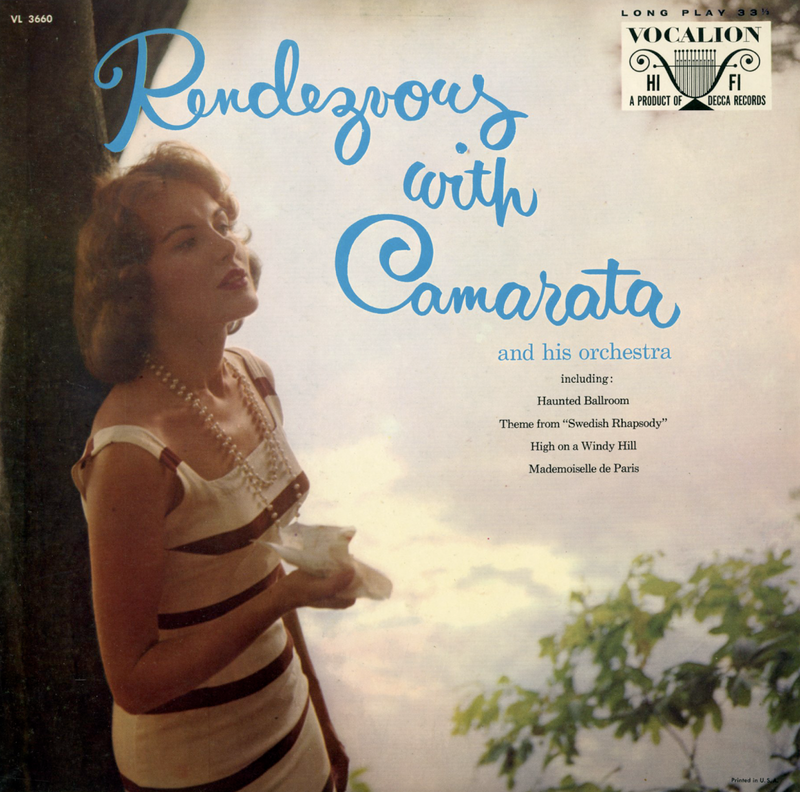 During the Second World War, she spent much of her time traveling with Abdias Villalonga and his orchestra. 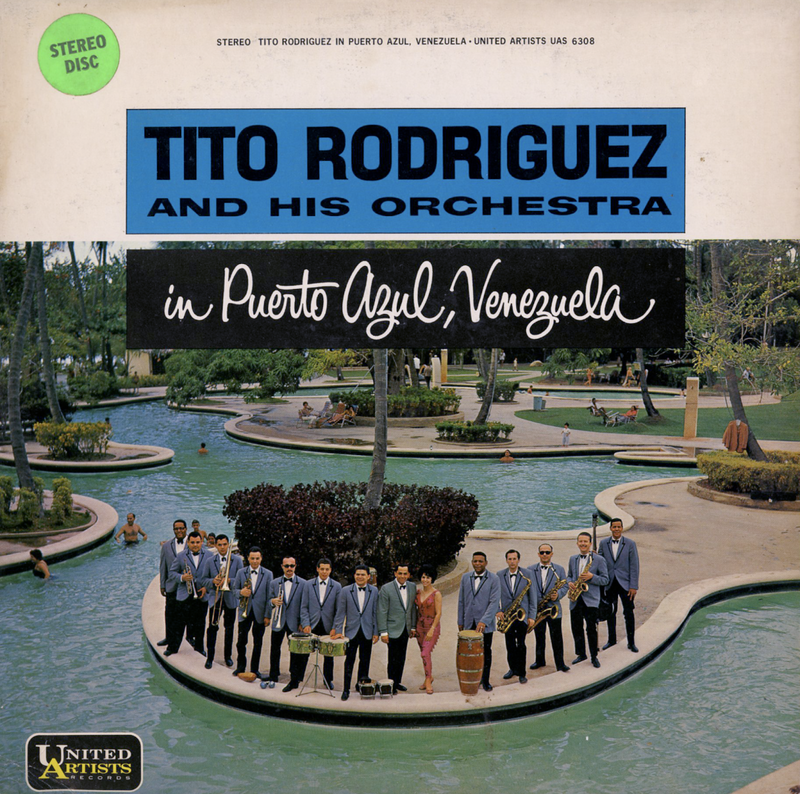 They toured the island of Puerto Rico entertaining the members of the armed forces stationed there. In 1945, Julita left Puerto Rico to fulfill club engagements in New York. 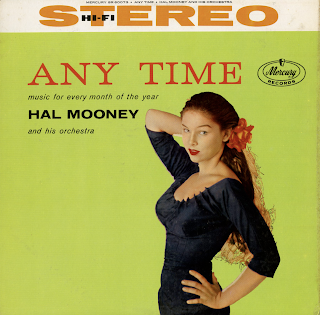 Her success was heightened by offers to appear in theaters and on radio. She was an overnight sensation and it was this year that she made her first phonograph records. Her first big record was the Rafael Hernandez composition, "Diez Anos". Her recordings made such an impression on the public overseas that she was presented with contracts to make a personal tour. She gave various performances in Venezuela, Cuba, Mexico, Columbia and the Dominican Republic. One of her most liked recordings was the Claudio Ferrer composition "Aunque Me Llore. From the back cover: This album featured Tito and the boys at their best, playing tunes they performed at the Carcass Carnival (one of South America's pre-Lenten festivals, invitation only). Rodriguez's band won "most popular". 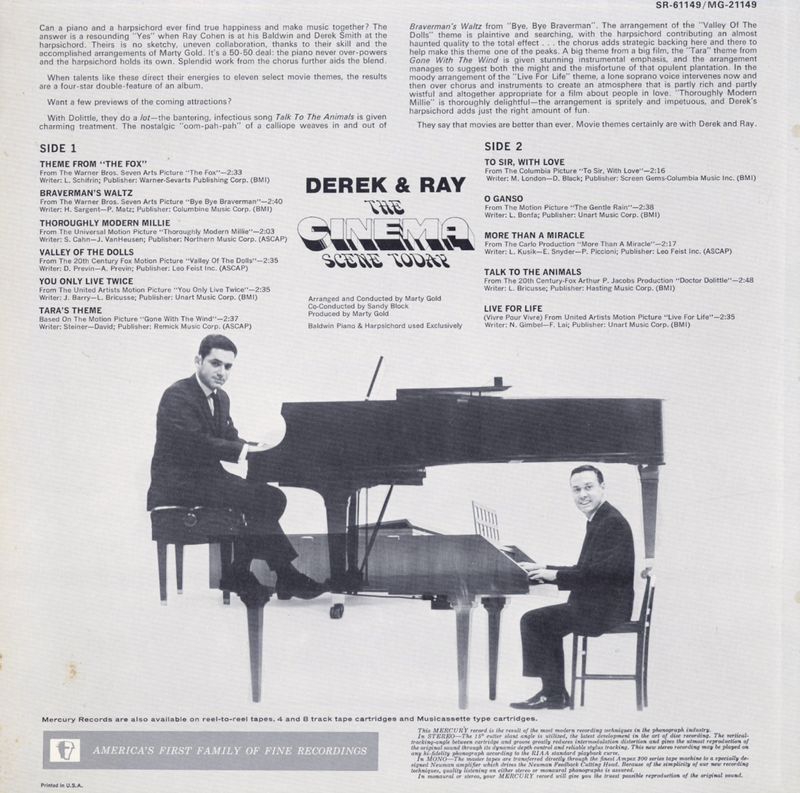 From Billboard - November 30, 1963: Rodriquez has had a number of sets on the UA label, all of which have created a sales stir. This latest program is a duplication of that performance by the band last year in a Venezuela competition of 16 prominent Latin orks, a competition won by this very group. Most selections are smooth and danceable, with vocals, and are nicely paced as to tempo. Mambos, pachanges, cha chas and boleros are included. Excellent early lush strings conceptual mood product. From the back cover: Peterson was born in Montreal, Canada, not much over 30 years ago. At five, he started out as a robust little trumpeter. But he was struck, at seven, with tuberculosis and spent a year in the hospital. At this point, he turned from the trumpet, with its heavy physical demands, to the piano and made astonishing progress. He became a professional pianist at 14, playing on a Montreal radio station. Later, after touring Canada with a band, he formed his own highly successful trio in Montreal. By now his fame was spreading rapidly, spilling over into the States. 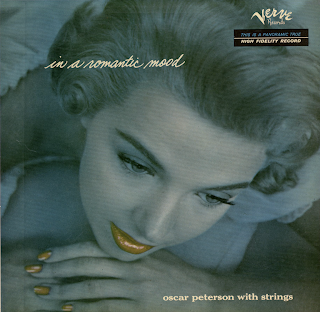 From Billboard - May 19, 1956: Here's an off-beat Peterson package, spotlighting the talented jazz pianist for the first time against a background of lush, sweet strings provided by arranger-conductor Russ Garcia. It's an interesting blend, with pop as well as jazz potential and should be of particular use to deejays in search of romantic mood music programming with superior flavor. Peterson's swingy, tasteful piantistics are brilliantly showcased on such level standards as "Laura," " I Only Have Eyes For You," "Tenderly," and "A Sunday Kind Of Love." Eye-catching cover. This set is available from online vendors so I will not be posting a sample. 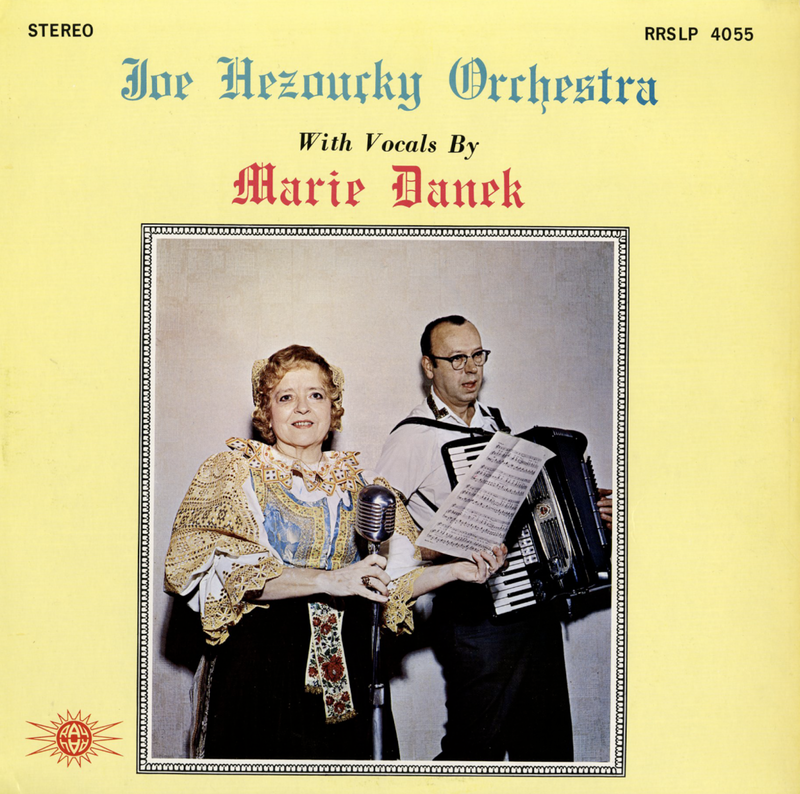 Bright, creative big band arrangements accented, as advertised with Eastern and popular for the period, "exotica-sounding" flourishes. For some reason after the jacket was printed, Capitol found it necessary to paste down, over top of 1/3 the back cover notes, an additional expanded track list. From the back cover: Tak Shindo is one of Hollywood's busiest young musicians, with impressive arranging and composing credits in motion pictures and TV, as well as intensive study in and out of college under such outstanding teachers as moviedom's Miklos Rozza and Dr. Shigeo Kishibe of the University of Tokyo. A Nisei from Los Angeles, Take made good use of his talents in both music and languages during his three-year hitch in the U.S. Army. 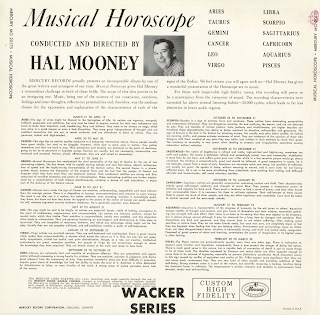 He was attracted to intelligence as a language instructor, and later served as a musical arranger and producer of GI shows for special services. 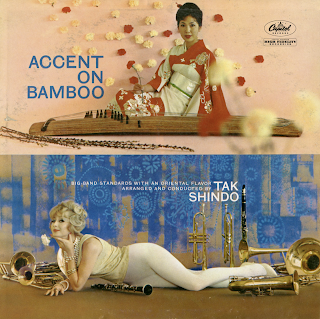 From Billboard September 5, 1960: A Hollywood Nisei, Take Shindo has a big band package here that fuses sound of the West and East. Material is danceable. 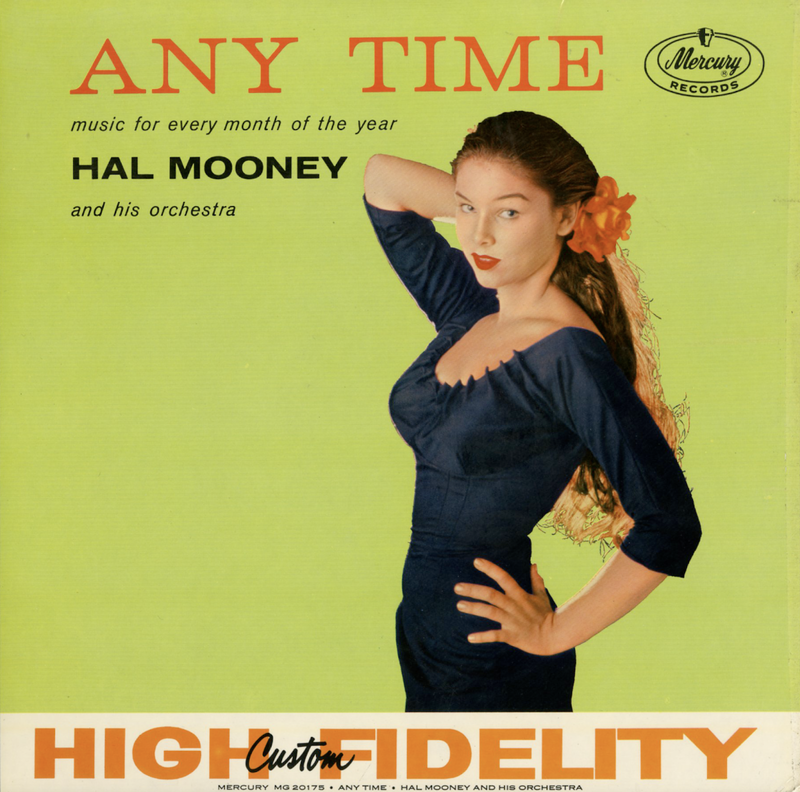 "One Fine Day" (from "Madame Butterfly"), "String Of Pearls," "Cherokee" are included. 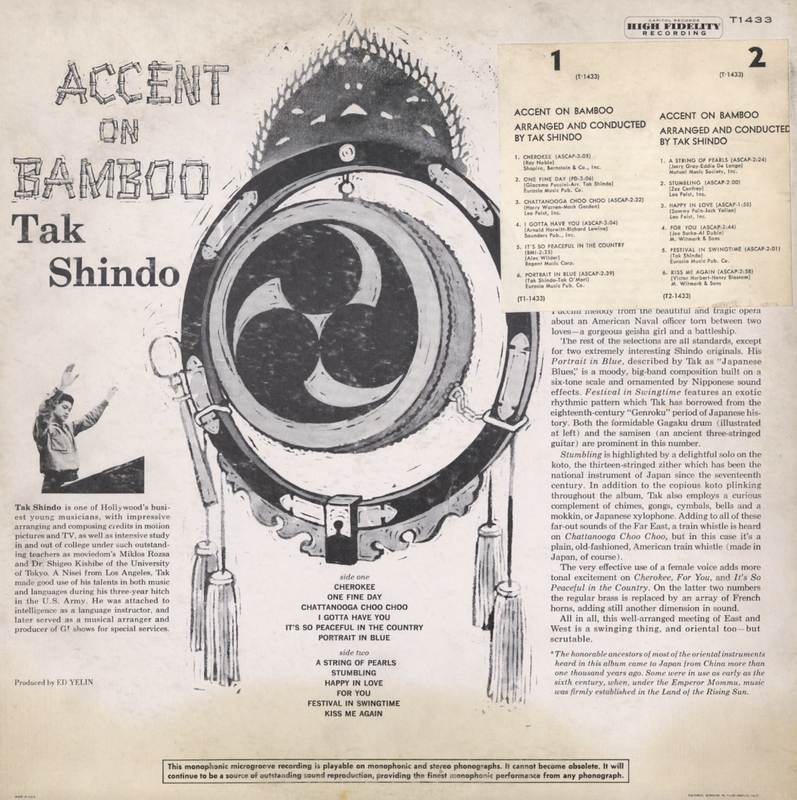 Instruments include some which are rarely heard here, as 13-string zither, various chimes, gongs and Japanese xylophone. Also see: Brass And Bamboo. This is an obscure album and perhaps it would be best to leave it that way. Yes, that's crowd noise you hear in the sample. The effect plays through the entire set as if your turntable needle is dirty or worn. From the back cover: He (Paige) has been playing music for dancing ever since he finished school and joined the famous Orville Knapp orchestra, remembered and respected as the first of the great society orchestras. Today, he has one of the most successful and satisfying society orchestras of his own. The has played at the Ritz-Carlton in Boston, the Lord Baltimore in Baltimore, the Benjamin Franklin in Philadelphia, the Rice in Houston, the Ambassador in Los Angeles, and practically every other top hotel in the country. 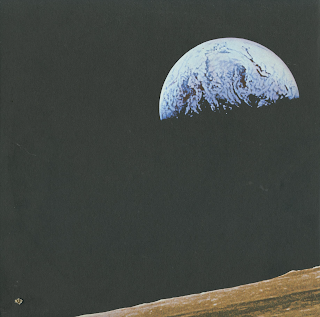 Beautifully orchestrated lush strings mood set. 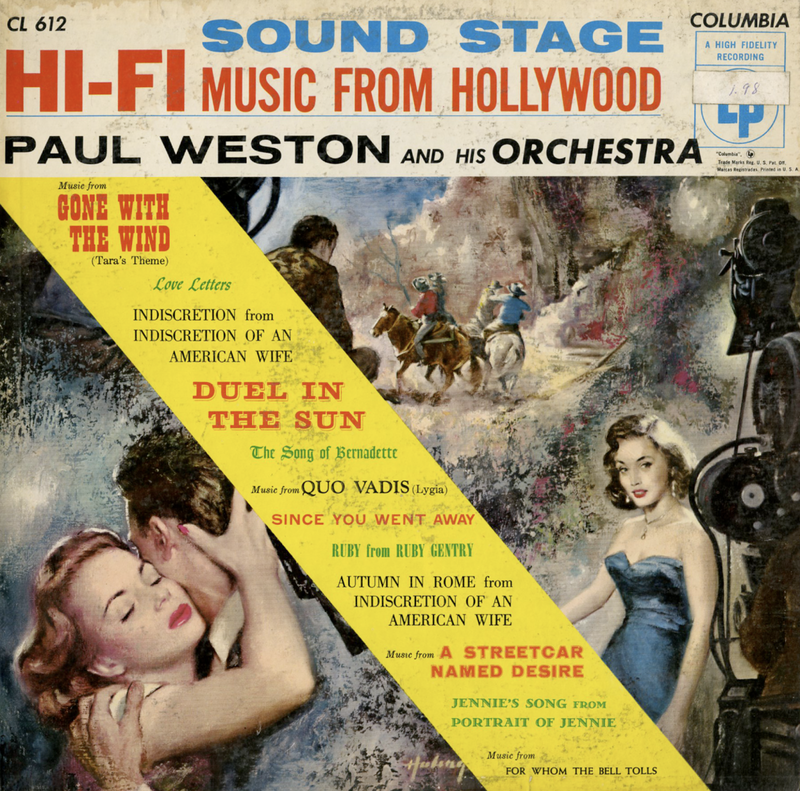 Indiscretion from "Indiscretion On An American Wife"
Autumn In Rome from "Indiscretion Of An American Wife"
Music from "A Streetcar Named Desire"
Jennie's Song from "Portrait Of Jennie"
Music from "For Whom The Bell Tolls"
From Billboard - August 24, 1959: Mooney serves up 12 original themes, depicting the signs of the Zodiac – "Pisces," "Scorpio," "Leo," etc. Moods of instruments vary with characteristics of various signs – as detailed in the liner notes – and style is semi-classic. Interesting item for astrology students. 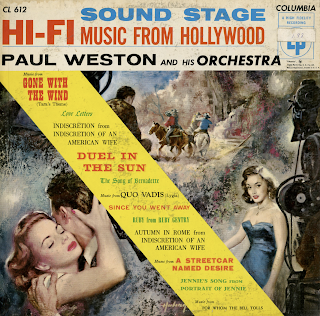 Pete Rugolo is noted on the back cover as "Mercury Recording Director".